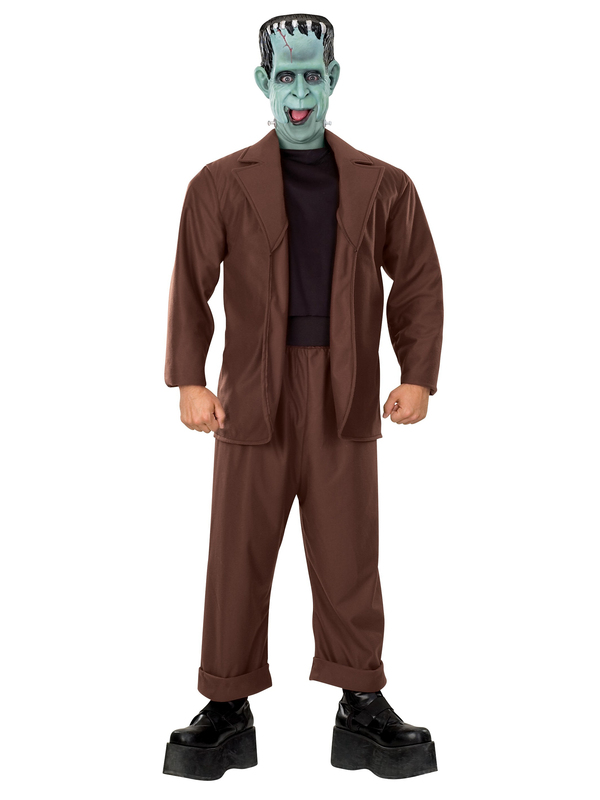 Act like a clumsy monster while wearing the Herman Munster Men's Costume. Herman has been alive for centuries but still acts a bit childish at time. This particular outfit comes in full color based on appearance in The Munsters television series. You receive a brown jacket with attached black shirt. There is a pair of matching pants that have been cuffed along the bottom. Complete the look using the mask which has Herman’s face and silly expression. While he doesn’t mean to be scary, everything from people to statues will flee in fear! Use the Herman Munster costume during Halloween and other fun fright nights.